Some sad news has hit the metal world: Peter Steele, front-man of goth metallers Type O Negative, has reportedly died of heart failure. He was 48. Word of Steele's death broke late Wednesday night (April 14) via a series of tweets from friends and family. These were followed by a statement to Blabbermouth from Type O Negative keyboardist Josh Silver, who confirmed Steele passed away on Wednesday. And while it is believed he died of heart failure, no official word on the cause of death has been released. With his bands CARNIVORE and TYPE O NEGATIVE he achieved cult status and was loved by fans around the world. 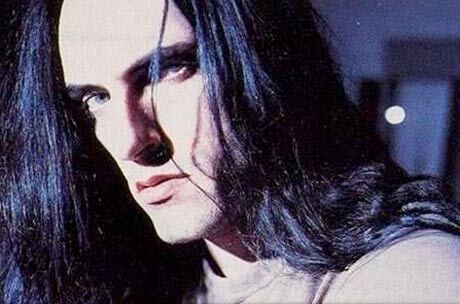 The last releases he did with TYPE O NEGATIVE were the DVD Symphony For The Devil and the studio album Dead Again. SPV/Steamhammer proudly released both products worldwide, which will now - very unfortunately - be the end of his recording legacy. Our condolences go to Peter's family, friends and the members of his bands. Steele, who was born Peter Ratajczyk on January 4, 1962, in Brooklyn, New York, first became known in the metal scene fronting the crossover group Carnivore, who released their classic self-titled debut in 1986 and its follow-up, Retaliation in 1987; Carnivore reunited in 2006 for some touring. Type O Negative formed in 1990 and are best known for their tune "Black No. 1," from 1993's Bloody Kisses. The band combined goth imagery with heavy doom metal and experimental tendencies, and were active up until Steele's death. Steele was notorious for his dark humour, imposing 6'7" stance, and extremely low, bass-heavy vocals. Steele was always an interesting guy in interviews; long-time Canadian metal fans may recall a particularly entertaining conversation on MuchMusic years ago with ex-MM VJ Teresa Roncon. Word spread back in 2005 that Steele had died but that was just a gag related to a website graphic that had his tombstone on it. Our condolences go to Steele's friends and family.